Ghosts of "Oldboy" past and present. 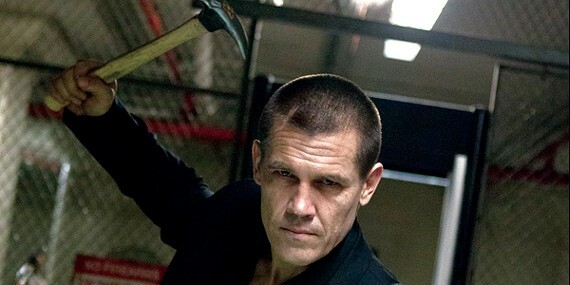 Josh Brolin, as Joe Doucett in Spike Lee’s remake of Oldboy, takes vengeance on his captors. Like Takashi Miike's Audition, Kiyoshi Kurosawa's Pulse, and Kinji Fukasaku's Battle Royale (aka The Hunger Games FOR REAL, SON! ), Chan-wook Park's 2003 Korean thriller Oldboy is one of those films that, once you've seen it, you stop what you're doing, take a look around at all the fraidy-cat American fare in theaters, and mutter to yourself, "Why bother?" For fearless moviegoers in search of something different, these four late-'90s/early-'00s pinnacles of what Tartan Films called the "Asia Extreme" movement are now certifiable contemporary classics. The violent, dreamlike works are known for their stylish, taboo-breaking reimagining of genre conventions, their keen feel for sordid, grimy locales, and their pervasive atmosphere of paranoia and dread. Like those films, Spike Lee's Oldboy remake has the funky odor of a Skid Row bum who spent last night sleeping in a dumpster. I don't understand exactly why Park's film has been remade, but that's no matter: Lee's version is a nasty, disreputable thing that's commendable for being stubbornly true to its source. It's also a sly bit of counterprogramming during that wearisome time of year when studios large and small roll out their most prestigious product for your Oscar consideration. But let me pause for a moment and ask you something. Why are you reading this review, anyway? If you had no idea that Lee's Oldboy is a remake, then put this away and go see the movie at a theater near you before you continue. Judging from its box-office receipts, you won't have many chances to do this. Oldboy opened at only 583 locations nationwide, earning a meager $1.28 million over the long Thanksgiving weekend. (In contrast, Frozen opened on 3,742 screens and earned $93 million.) At any rate, the less you know about the film, the better it will be. Watch it and come back. Choi Min-sik in the original "Oldboy"
On the other hand, if you're a fan of the original Oldboy, then relax. Yes, this movie is sort of useless, but it's also a half-decent translation: Spike Lee's Oldboy is to Park's original as Scorsese's The Departed is to Wai-keung Lau and Alan Mak's Infernal Affairs. Of course, Lee's film dumbs down some of the ambiguities, nixes most of the surreal touches, and clarifies many of the elisions that made the original so provocative. How could it be otherwise? The bulk of the story is left intact, and the less said about it, the better; Oldboy's effectiveness depends on the way its fiendish plot twists upend audience expectations. But here are some basics: On his daughter's third birthday, drunken, deadbeat dad Joe Doucett (Josh Brolin) is abducted and locked in a windowless private prison cell that looks like a cheap motel room, complete with a Bible, strange posters on the walls, and an old TV set. Cut off entirely from human contact and completely in the dark about who put him there, Joe remains incarcerated for 20 years, subsisting on the Frosted Flakes and Chinese takeout that are placed inside his cell each day. What little he learns about the outside world is dispiriting: The nightly news tells him that he's been framed for his wife's murder, and an America's Most Wanted-style true-crime show updates him sporadically about his daughter's whereabouts. Eventually, Doucett quits drinking, starts exercising, and vows to seek vengeance on his captors once he escapes. 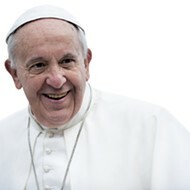 One escape plan fails, but his freedom is then granted as suddenly and randomly as it was taken away. After he's knocked unconscious one evening, he finds himself crawling out of a red steamer trunk that's been dropped off in the middle of a field. With the help of a social worker (Elizabeth Olsen) — and some direct prodding from the man who imprisoned him (Sharlto Copley) — Doucett embarks on his mission with a Mike Hammer-like determination. And that's all the plot you're going to get. There are many similarities between Park's and Lee's films. For example, both directors include footage from the 9/11 attacks, not as a political maneuver but as the most startling way to show the passing of time. Both versions wallow in sadistic ultra-violence, and both versions pivot on inventive flashback sequences where the adult characters bear witness to their younger selves by occupying the same frame. Both films also take a short break to have a little fun with their Rip Van Winkle meets Franz Kafka premise: Brolin's bewildered first look at a smartphone after his two-decade imprisonment is terrific and quietly humorous. But Park's original showed a lighter comic touch than Lee displays here. (Then again, Lee might have permanently lost his sense of humor sometime during the shooting of 1996's Get on the Bus.) The original Oldboy's verbal and visual wit meant that certain plot developments and character revelations were staged like mordant slapstick routines. 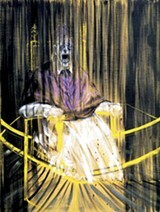 This eased tension while providing his audience with a false sense of security that is gleefully demolished in the end. In contrast, the funniest thing about Lee's Oldboy is the outlandish, phoned-in performance of Samuel L. Jackson's Disco Godfather prison warden. For all its deficiencies, Lee's Oldboy nonetheless stands out as one of the few American movies remotely interested in exploring the extensive psychological damage caused by mindless revenge-seeking. 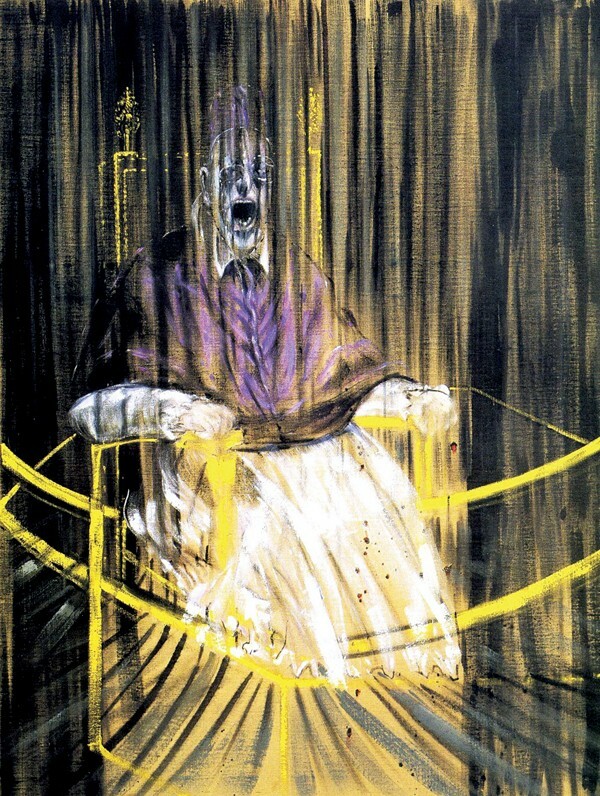 Brolin, a fine, measured actor whose chiseled looks obscure his considerable emotional range, conveys the sum of these horrors spectacularly when he finally figures out his tormentor's scheme: His shattered expression evokes one of Francis Bacon's screaming popes. Although it's another minor work in this director's uneven canon, I could see it fascinating some museum employee writing the notes for a Spike Lee career retrospective some day. But time is a relative thing. 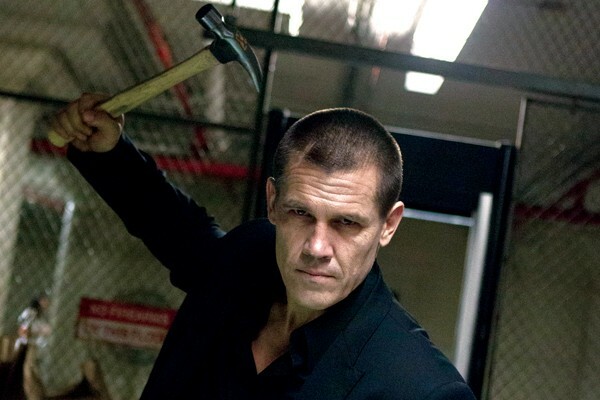 Until then, Oldboy is a mean curiosity that shouldn't be left for dead so quickly. Oldboy is not showing in any theaters in the area.